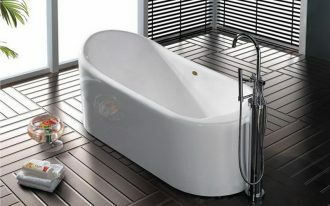 Love the clean look and aesthetic value of Scandinavian bathrooms? 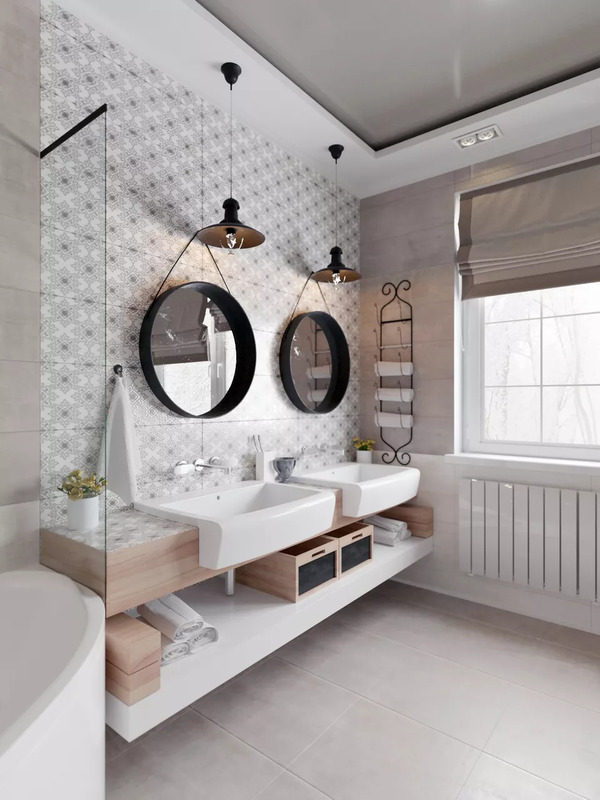 Scandinavian bathrooms put the functional, simple, and light colored as the key principals, but in my gallery, you’ll see ten ideas of Scandinavian bathrooms with darker shade addition that can work wonderfully. 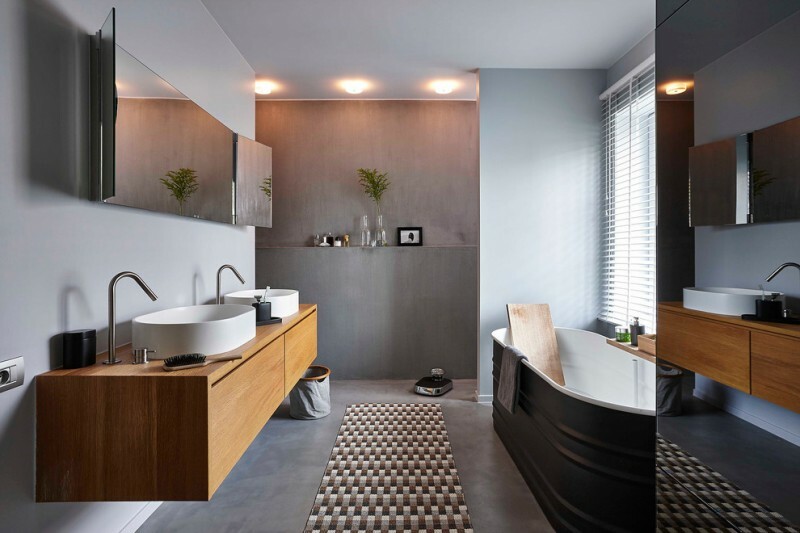 It’s true that a Scandinavian bathroom can fit the darker shade. The hex tiles flooring and ceiling are black, keeping them stunned in contrasting way. White subway tiles on wall clearly make the space wider and clean. And the wood is darker than the ones commonly used in most Scandinavian bathrooms. Surprisingly, it works very well. 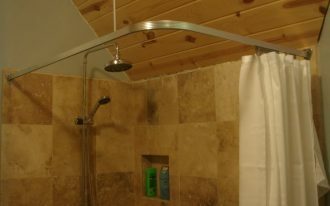 Actually, this is a farmhouse style bathroom but it features the minimal look of Scandinavian and natural wood. We obviously discover the farmhouse touch in vanity’s sink which exposes a larger farmhouse stainless steel sink. The darker palette here is found in the mirror’s frame and wall mirror’s hold which are made of stained metal. Classic! Give a bit sweetness by adding high-intense black frames on your twin wall mirrors. 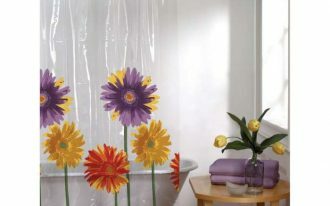 This idea will definitely give a high contrast to your Scandinavian bathroom. 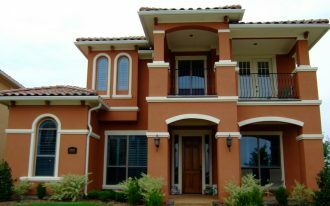 This dark shade also can work to break the lightness as what most Scandinavian style commonly shows. 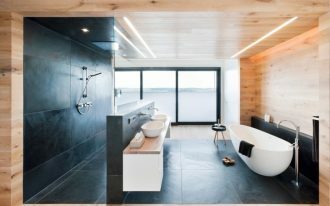 One of most inspiring Scandinavian bathrooms with dark shade. 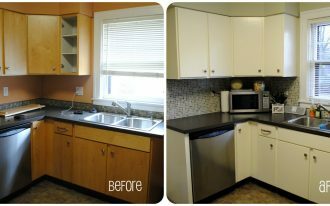 I like the black tiles applied on the backsplash, they aren’t only contrasting but also stylish. 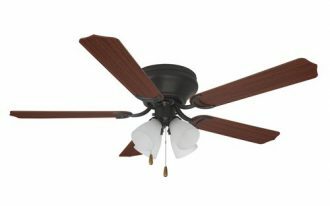 The material performs durable and water-resistant issue. The dark shade also works perfectly with the marble background wall, displaying huge elegance and luxury to this bathroom. 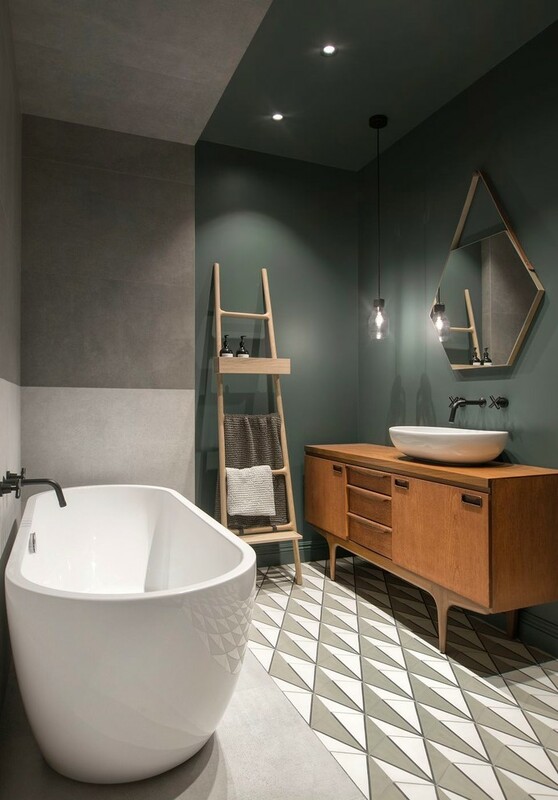 A large Danish bathroom accented with dark gray walls, geometrical tiles flooring, and asymmetrical vanity mirror. 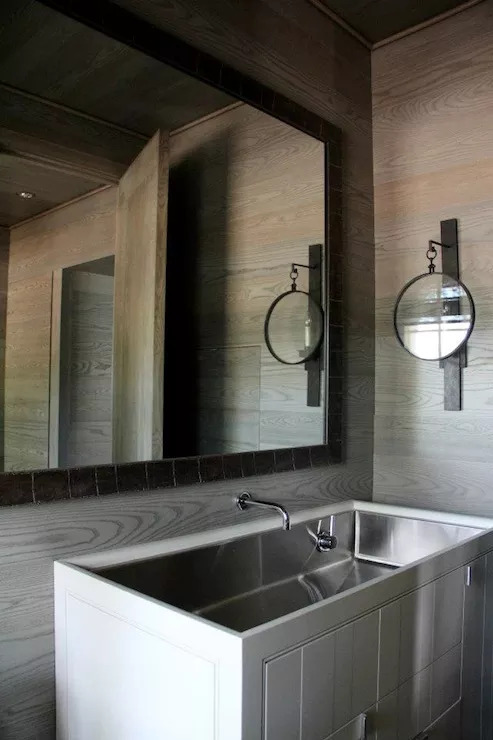 Wood element is still included to give natural warmth, while the darker wall finishing elaborates a chilling visualization to this bathroom, producing a balanced & elegant look for the bathroom. The tile floors are quite stunning; their motif stands out this ‘gloomy’ space. Perfect! 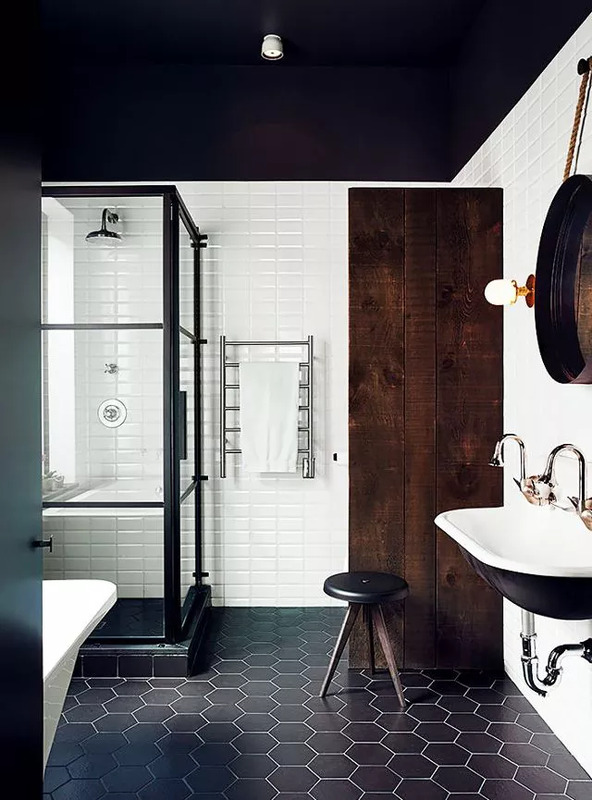 White-painted concrete wall features black tiled floor, offering a high but beautiful contrast in bathroom, and the wood element here adds another tone and natural appeal. Clear glass panel gratefully gives a modern touch. 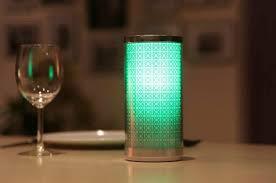 The lighting, particularly those on the mirror’s back, is very lovable, contributing a modern style lighting effect. Gray is dark but performs gentle feel. When it features darker palette like solid black, it produces a light contrast and still exposes the visual comfort. 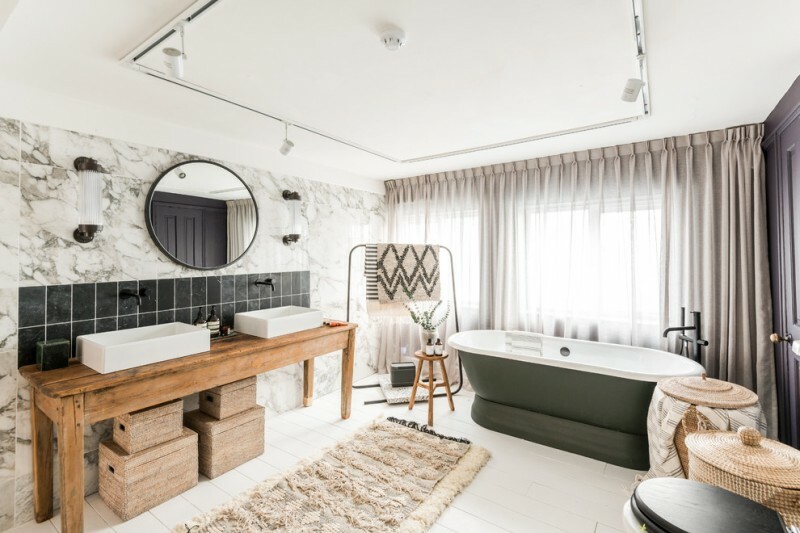 In this dark Scandinavian bathroom, it’s obvious that the designer uses gray as the primary tone, and wood element is added just to give warm feel in this cozy & gloomy space. Inspiring! So trendy and modern. I like the motifs of tiles on wall. 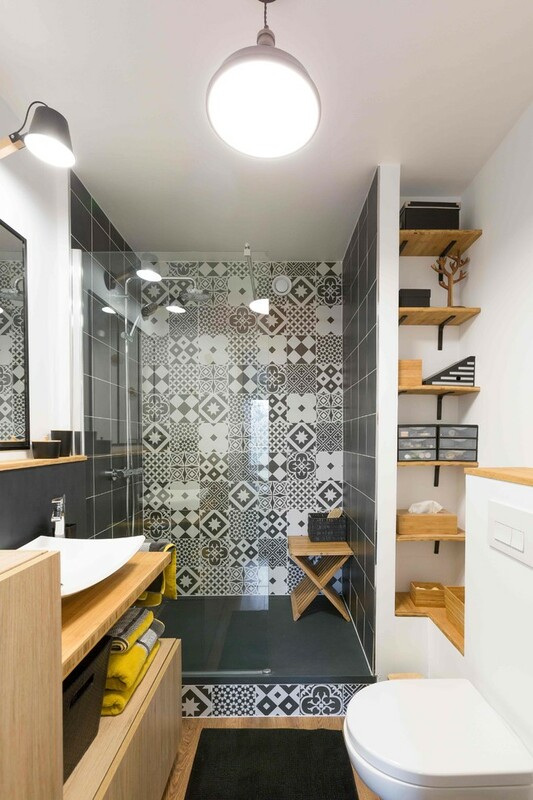 The designer cleverly combines plain black tiles and patterned black-white tiles for these adorable shower walls. This run rug takes my interest instantly. It stands out the bathroom and successfully be an accent of floor as it’s the one and only thing performing the distinctive motifs. 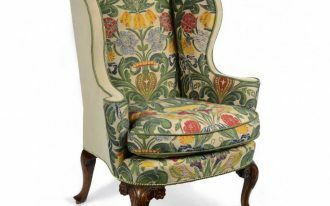 So rich in textural color. 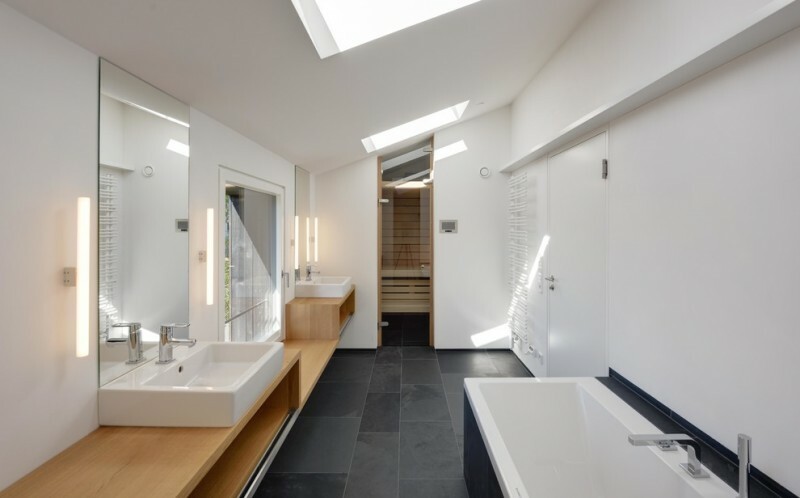 An inspiring large Scandinav bathroom with black slate tiles flooring. 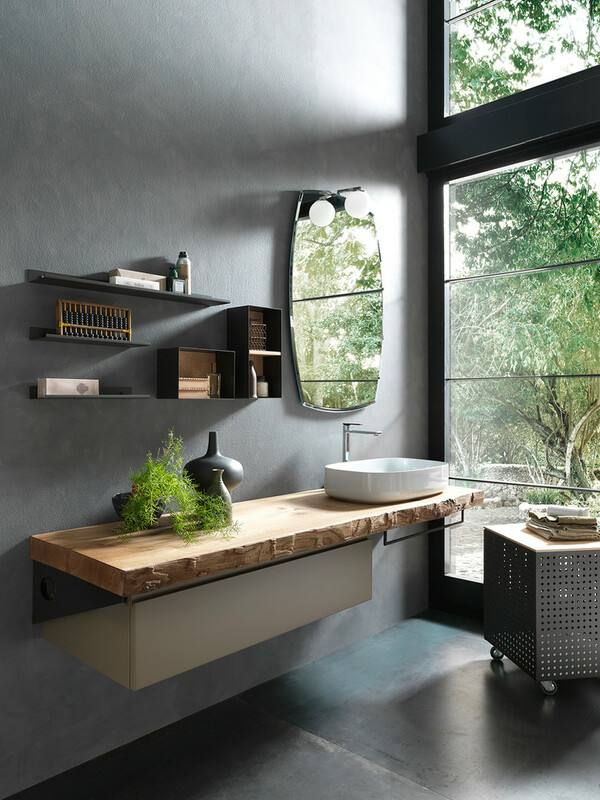 Three different elements: wood, slate, and concrete display different tone and texture, but still go balanced.